Showing results for tags 'Hotkeys'. tl;dr: Every macOS app “knows” to move cursor by word w/ Alt modifier. Publisher (Actually, any Affinity app) requires Cmd modifier, which is inconsistent. Actually, this problem applies to every of Affinity apps, but I won't spawn multiple topics. :) Long version of the problem: Whenever I edit texts in text areas in Publisher, I get stuck with inconsistent modifiers. Publisher requires me to NOT use system hotkeys which work literally everywhere. Even worse, sometimes system modifiers work, and sometimes they do not. E. g., in every app except Affinity apps including Publisher: Arrows ←→ move cursor by a symbol, Delete removes a symbol, Alt+arrows move cursor by a word, Alt+Delete removes a word, Cmd+arrows move cursor to the line beginning or end, Cmd+Delete removes anything up to line's beginning or end. This pattern is simple, elegant, memorizable and works everywhere. In Publisher and any other Affinity app: Alt+arrows alter a symbol's kerning, Alt+Delete deletes a word, Cmd+arrows move cursor by word, Cmd+Delete deletes a line. This inconsistency matters a lot to me, because I work with text in many different apps, and I can't adapt to Publisher's hotkeys at all. I believe it's the single most annoying issue for me. I understand that you won't change the default behavior because it copies (flawed) Adobe's hotkeys. However, since many hotkeys in Publisher are now customizable, I ask for an option to assign my own hotkeys for kerning and support system-wide text navigation modifiers. Add ability to fast keyboard search by filter field. Please honor the standard Windows hotkey convention, and your Windows users, and incorporate the following: CTRL + F4 as Close Window SHIFT + DELETE as Cut CTRL + INSERT as Copy SHIFT + INSERT as Paste I understand users can configure hotkeys, though many Windows users expect some or all of these hotkey sequence to work as expected. Further most users will 'fight with'/'bend to' application defaults rather than configure such application behavior details. These refinements will improve application usability and user efficiency. I also understand CTRL + W is defined as close window (is this a Mac convention? I have not seen this behavior in other Windows applications.). Retaining CTRL + W, and adding CTRL + F4 or replacing CTRL + W with CTRL + F4 are equally welcome refinements. I have not tested for the possibility in Affinity Publisher to allow for user configured multiple hotkey sequences for the same function (e.g. CTRL + X and SHIFT + DELETE both as cut). It is common for Windows users to be familiar with and use both, or prefer one over the other. Please consider incorporating this behavior in the Windows versions of Affinity Designer and Photo. Thank you for considering. Just as the title says. I can usually reproduce this bug by opening a lot of documents at once, or even just one document that is resource intensive (lots of large, high quality images).This is a very annoying bug, as sometimes I use the keyboard shortcut to save my work, and I then don't realize that the keyboard isn't working. The only way I've found to fix it is to save manually and then restart the program, and then be careful about how much I'm asking the program to process at once. Please fix, valiant programmers. Every now and then, all hotkeys just stop working until I reset the program (Affinity Designer 1.6.4.104 on Win 10). Haven't noticed a pattern with this. Anyone else come across this problem? Alt modifier to invert box-selection behaviour. In Affinity designer box selection currently selects objects that are fully inside the selectioin box by default. This can be changed to select objects that pertially intersect with selection box in preferences. My request is to make Alt key temporary invert selection behaviour, so if you have default options, you can hold Alt while making selection box to select objects that intersect with selection box, and if you enabled alternative behaviour in preferences, holding Alt lets you select objects thet are fully withing the selection box. Currently holding Alt while selecting objects doesn't do anything. Hi, when I press ⌘R It shows the rulers, I press it again and it hides the rulers. All fine and dandy, however, when I use ⌘T to access 'character' it only shows that and then never hides it if I press it again. Was this intentional or am I missing something? Thanks in advance! Hi all! 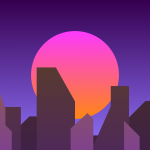 I just want to start out by saying that I am having so much fun messing around with Affinity Designer!! :) I was wondering if there was a way to remap the pen tool to a friendlier hotkey? I tend to have my right hand on the mouse, and my left hand around the left side of the keyboard. Is there a way I can map the pen tool to the "e" key?